No doubt, ten years is a long time without a ‘proper’ release. But that was never the plan; the debut album was recorded almost five years ago and was supposed to come out before the turn of the decade. Several years later Cube finally finished producing their debut album, a reminder of their sound and style before their singer and guitarist Nikos Stavrakis left the band in 2009. And the result does not disappoint. Reminiscent of the sounds of 1990s Seattle, early 2000s post-alternative embellished with heavier undertones, aggressive riffs and drumming, the result will not disappoint those appreciative of a relatively wide, and quite popular, range of music from pure rock and grunge to progressive/metal and back. Coupled with the critical, angry lyrics representative of the disillusioned youth of our times the result is often explosive, despite the technical and production problems that occasionally detract from the songs. 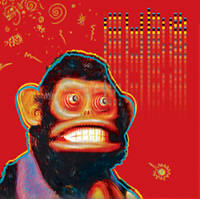 The tracks that stand out, in my opinion, are Perfect Monkey and Mass Confusion. Overall, despite being familiar with the album’s tracks for years, having followed its production early on and having been exposed to the rough mixes throughout the years, I was pleasantly surprised by the final release; the masterful production succeeds in hiding the deficiencies of the source material and does justice to the songs, striking a nice balance between soulful and aggressive. Finally, although not impressed by the track, I found Grooves from Outer Space to be interesting, as both Sugahspank’s vocals, with her unmistakable voice and style, and the departure from the album’s overall sound and feel showcase the variety possible within the band and is, perhaps, a token of their evolving taste. ‘Cube’ is available for download in various formats (under a ‘name-your-price fee’ model, or free, if you’re that cheap) on bandcamp. It will also be available in a special edition vinyl edition, in accordance to the current hipster trends. I will update this post when I get more information about that release. Full disclosure: Cube are friends (and family). As much as I’d love to be objective here, I couldn’t have a truly unbiased opinion of their music. Nevertheless, no matter how biased I might be, Cube’s debut certainly has its place among the great albums coming from a Greek band in the past year.